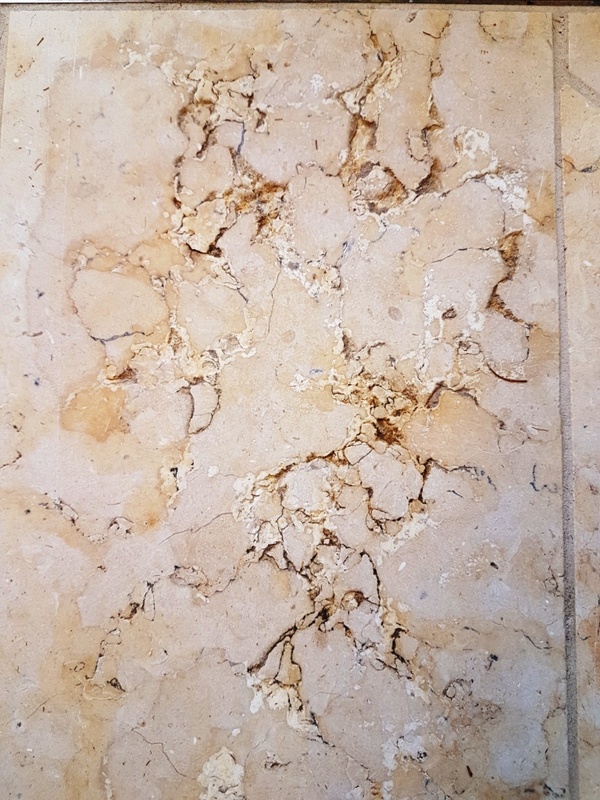 Jerusalem Stone is a pale variety of Limestone that comes from Israel and is available in different colours. 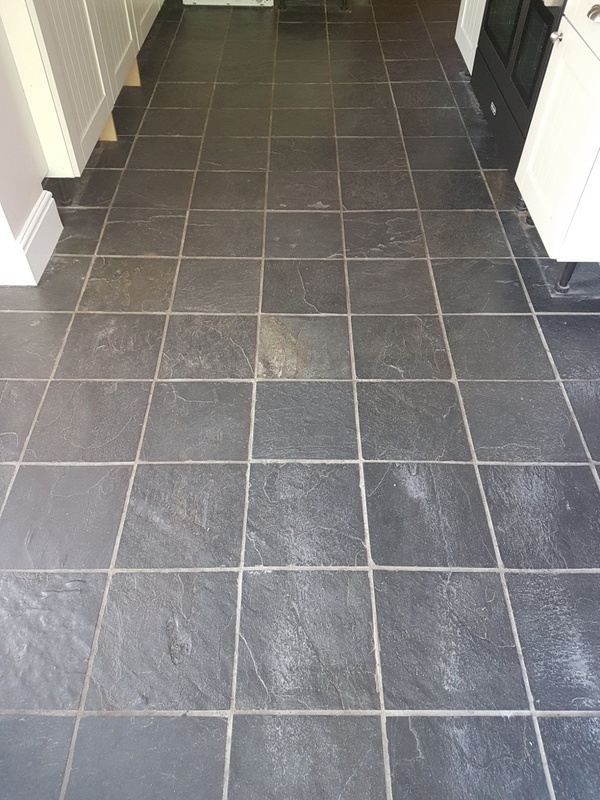 It’s a high-quality material that has been used in construction for thousands of years however like all Stone used as flooring, it benefits from being sealed to prevent dirt from becoming ingrained in the stone. 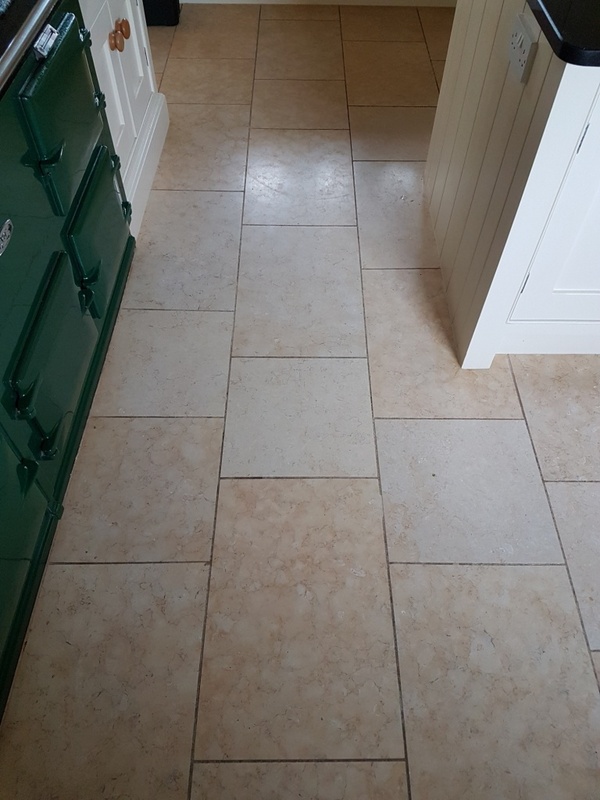 This ground floor of this house in the historic walled city of York had around 60 metres of Jerusalem Limestone installed throughout the kitchen area and some adjacent steps. 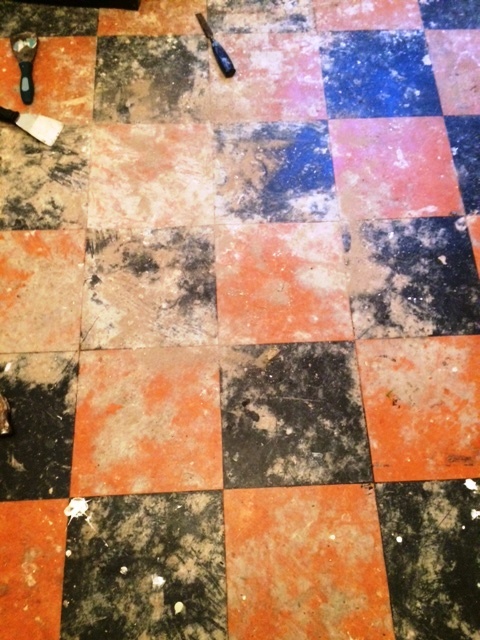 Its appearance had degraded with use and was now looking flat, dirty and generally uninviting. 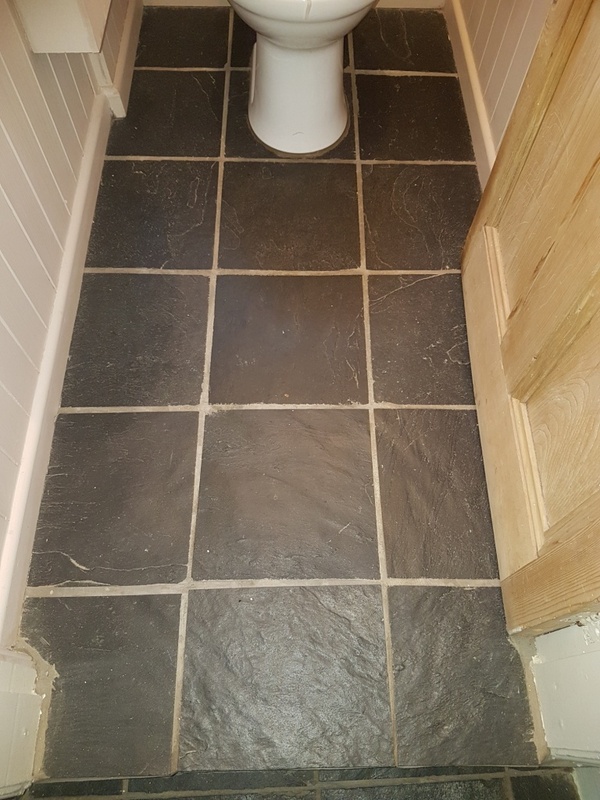 Additionally, the customer didn’t like the natural pitting in the stone which proved to be a trap where dirt became ingrained making it more difficult to clean. I surveyed the floor and discussed the process required to restore the floor including restoration work to fill the pitting. I also worked out a price which was agreed and booked a date in the diary for the work to be done. My first task was to fill the holes using three different colours of grout. 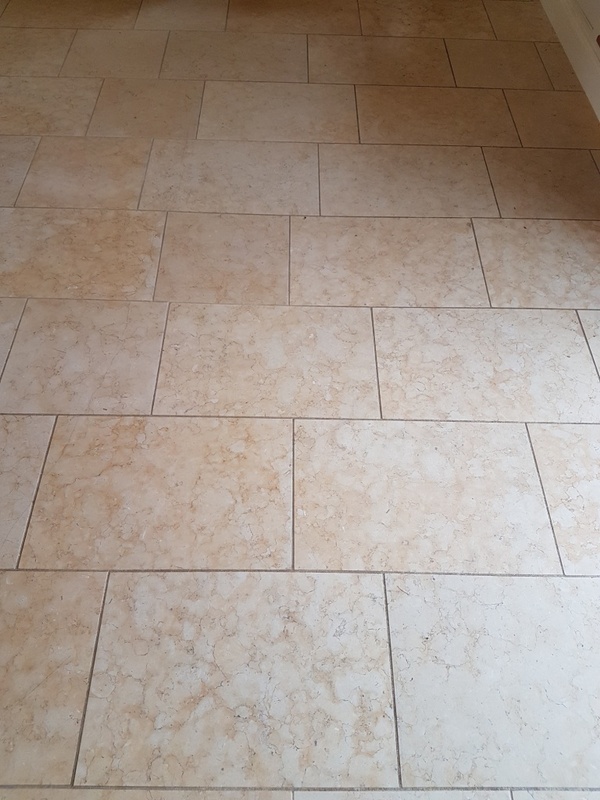 The floor was a mixture of shades, so I chose the best match based on the different colours in the stone. This work was tedious and a little slow but worked well and I was very pleased with the result. I come from a Tiling background so am quite used to working with grout in this manner. 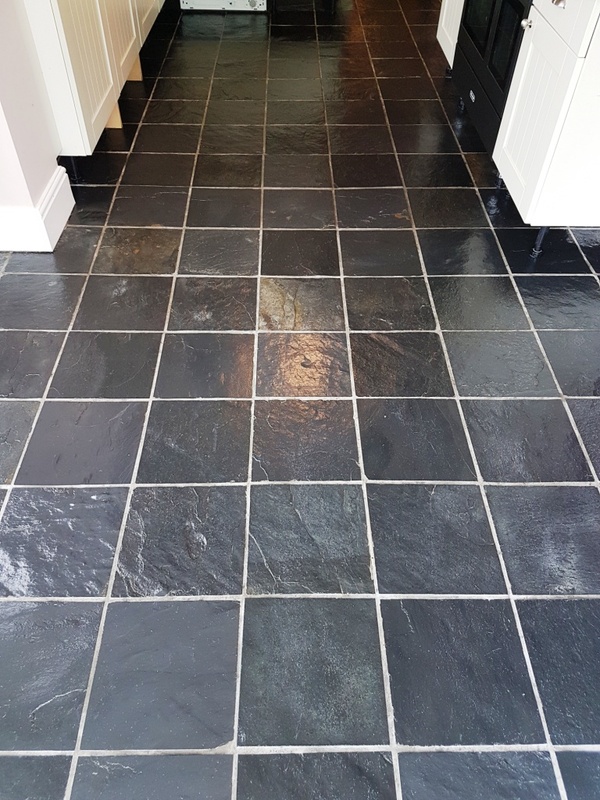 Next the floor was deep cleaned with the 400, 800 and 1500 grit diamond burnishing pads fitted to a weighted floor buffer and lubricated with water. The pads are applied in sequence starting with the 400-grit pad first and the soil generated is rinsed off with water in-between. 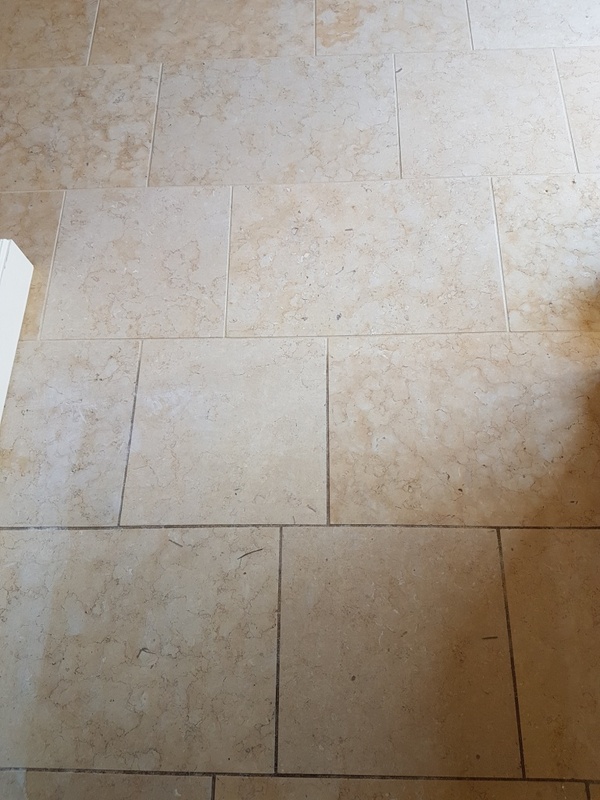 This process removes grease marks, old sealers, ingrained dirt and builds the polished finish of the limestone. I also used a hand-held burnishing block on the steps to get into the intricate corners. 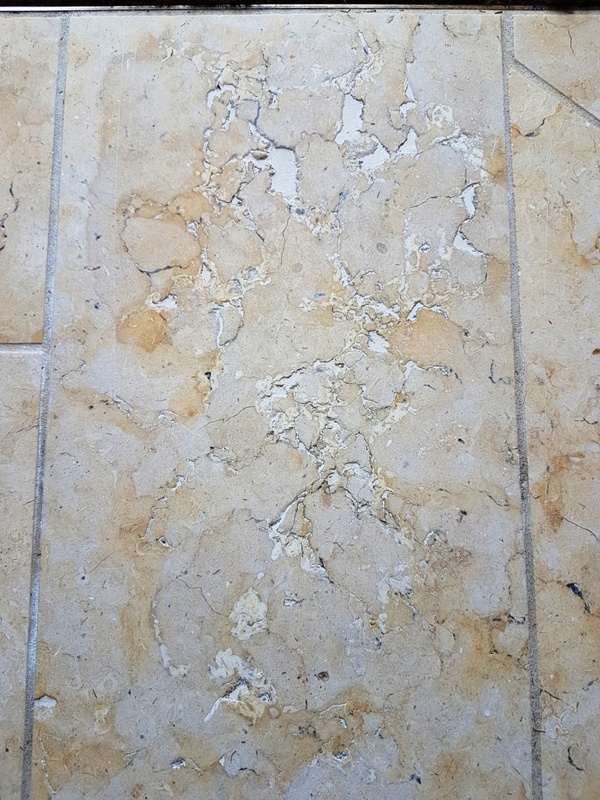 The grout was particularly dirty and was cleaned by hand using Tile Doctor Pro-Clean scrubbed in with a narrow stiff brush and the soil rinsed off with water and extracted with a wet vacuum. This product is a multi-purpose cleaner and degreaser and it really gets to work on the hard to shift build-up of dirt, grime and grease. The floor was left to dry off overnight, the lovely warm weather was a blessing as the floor was pretty large, thankfully we didn’t need to install any driers on this occasion. 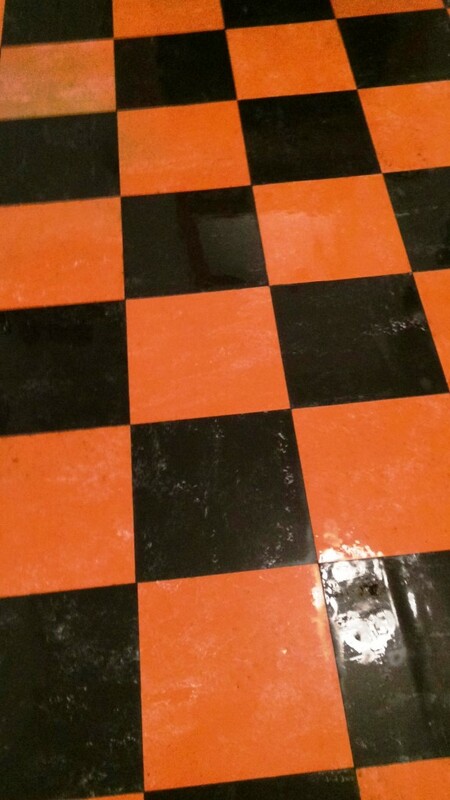 I returned the next day to finish the polishing with the final 3000-grit pad applied with a little water sprayed onto the tile. once done I tested the floor with a damp meter to make sure it was nice and dry and ready for sealing. 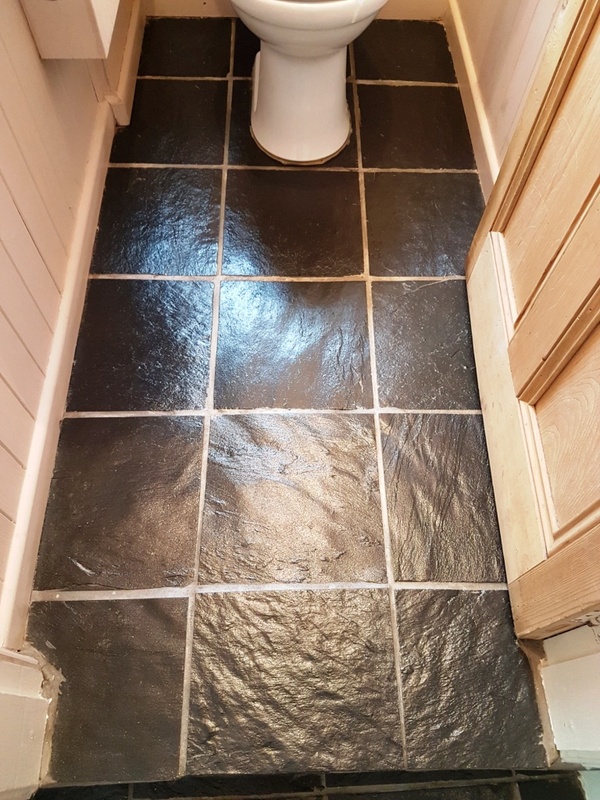 The filled areas were looking particularly good, eliminating the issue the customer was having with dirt getting stuck in them. 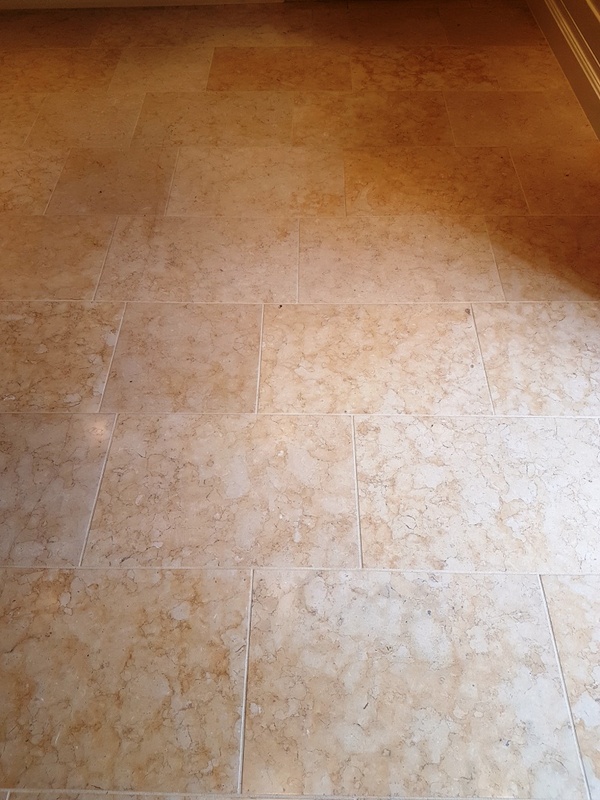 To seal the Jerusalem Limestone and protect it from ingrained dirt I used two coats of Tile Doctor Ultra-Seal which is a natural look sealer that doesn’t alter the appearance of the stone. 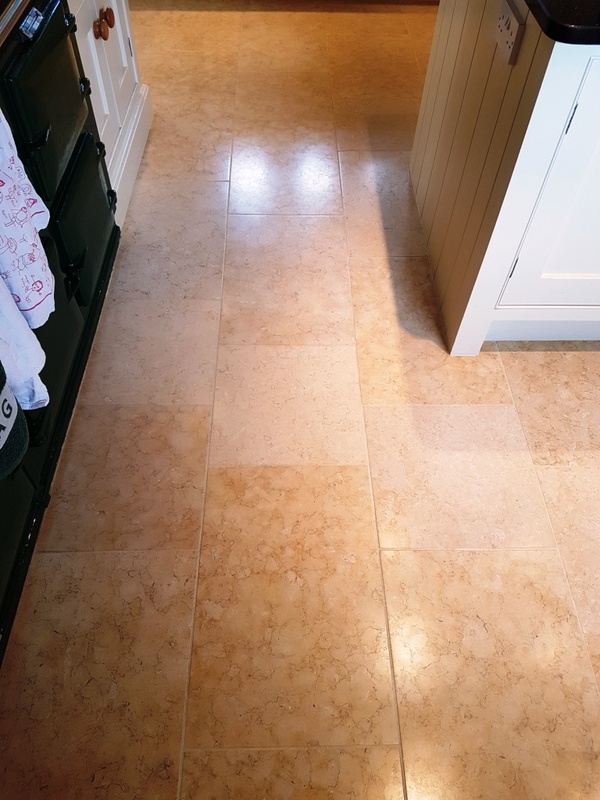 As well as providing the natural no-sheen look that the customer wanted it will provide stain protection and is recommended for food preparation areas such as kitchens. It also was excellent for sealing the grout and the areas I had filled. 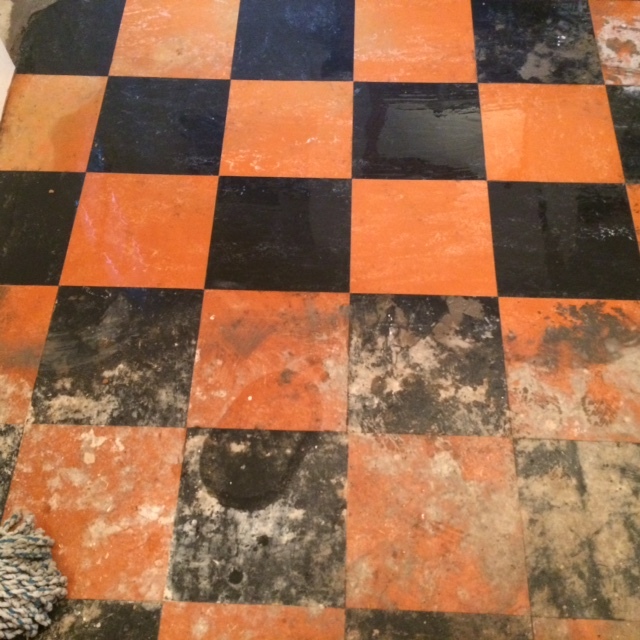 The customer was very happy with the result and couldn’t believe how fast we had worked to restore the floor. She was relieved it would now be much easier to clean and maintain.